Several types of life insurance policies exist, but each can be classified into two distinct categories: term or permanent. Term policies provide coverage for a specified duration, typically between 10 and 30 years. At the end of the term period, most policies expire, leaving you without coverage. Term life insurance is the simplest type of contract, as policies have no value unless you die while coverage is still in effect. Permanent life insurance is designed to last forever, and these contracts accumulate real equity in the form of cash value. Permanent life insurance premiums are structured so that premiums remain level throughout your lifetime. However, as you age the actual cost of providing coverage increases. 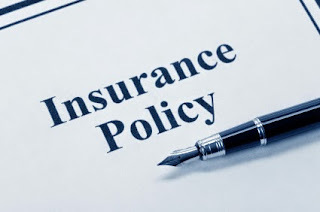 To ease the inevitable financial obligation created by your approach to average life expectancy, insurance companies charge customers more than what is necessary to provide benefits in the early years of the policy. The excess premium received is set aside in a separate account, the cash value, within the policy. Over time, this account may increase in value depending on the specific policy type. In later years, when your premium payment is insufficient to cover the real cost of coverage, the insurance company subtracts the necessary difference from the cash value. In essence, the company subsidizes your inadequate payment with the excess money you provided earlier. Whole life and universal life policies, two popular types of permanent insurance, provide for a minimum guaranteed interest rate on the cash value account. Regardless of how the economy performs or to what levels current interest rates rise or fall, your cash value will earn at least the minimum guaranteed rate stipulated in your contract. As long as you pay your premiums as outlined in the policy, your cash value account will increase at a predictable pace. If interest rates rise, the insurance company may bump up the rate in your account -- but if rates decrease the company cannot drop your rate below the minimum. The net surrender cash value is the amount of money you will receive if you cancel a permanent life insurance policy. All permanent life insurance statements display the current accumulated cash value alongside the net surrender value. These values typically differ for several years, sometimes for more than a decade. Insurance companies spend a significant amount of money during the application stage, prior to actually approving and issuing your policy. Salaries, fees and commissions are paid to underwriters and office personnel, sales agents, nurses and lab technicians. Insurance companies keep a significant portion of your accumulated cash value to recuperate these expenses if you cancel your policy. Any value remaining after these fees are deducted is the net surrender value of the contract. Money Matters Radio: How Does Cash Value in a Life Insurance Policy Really Work? Insure.com: What is Guaranteed Cash Value in a Life Insurance Policy?